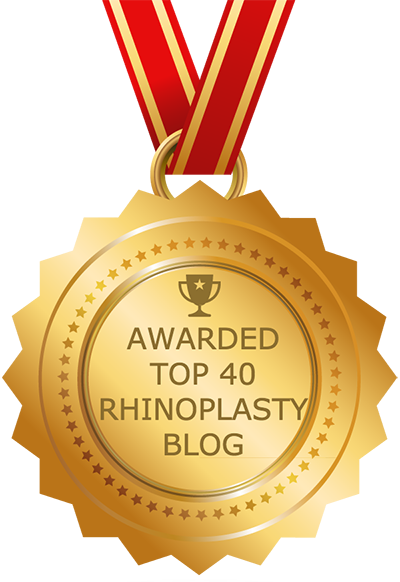 Rhinoplasty is more popular among Caucasians than any other group. In fact, a recent survey by the American Society for Aesthetic Plastic Surgery found that 79 percent of rhinoplasty patients in the U.S. were of Caucasian descent. Caucasian rhinoplasty may include various techniques and can address any number of aesthetic complaints a patient may have about his or her nose. The ultimate goal is an aesthetically pleasing nose that is in harmony with the rest of the face. When one thinks of the stereotypical Caucasian nose, Michelangelo’s statue of David may come to mind; the nose is long, thin and narrow with a pronounced bridge and a slender tip. Other common characteristics of a Caucasian nose incorporate thin skin and firm cartilages. However, not all Caucasian noses are the same, and some patients whose noses do reflect the supposed ideal don’t like this look. Caucasian patients seeking rhinoplasty typically complained about nasal bumps, misshapen nostrils and undefined or drooping nasal tips. The good news for these patients is that because the majority of rhinoplasty patients are Caucasians, facial plastic surgeons have developed reliable, successful methods for improving the cosmetic appearance of the Caucasian nose, as well as improving nasal breathing function. Depending upon a patient’s unique needs and circumstances, rhinoplasty specialists have a number of techniques at their disposal to improve one’s nasal appearance as well as overall facial harmony. The most important consideration with regard to Caucasian rhinoplasty is selecting the right surgeon. Make sure your surgeon is a board-certified facial plastic surgery surgeon as opposed to a general plastic surgeon (the surgeon should be board certified by the American Board of Facial Plastic and Reconstructive Surgery). Another highly important consideration is the fact that Caucasian noses have thinner nasal skin and relatively little cartilage compared to other ethnic groups. This can make it difficult for the surgeon to operate on the nasal tip and/or bridge. Thinner skin is less able to camouflage structural abnormalities as well as the edges of cartilage grafts. As a result, in Caucasian patients it is often necessary to take extra measures to hide the grafts and build a soft scaffolding that is carefully disguised. That being said, thin skin can also be an asset in the sense that the final surgical results materialize quicker than in thick-skinned patients, with less swelling during the postoperative period. In contrast, ethnic rhinoplasty patients typically have thick skin that lacks elasticity and does not contract as easily. It is very important that Caucasian rhinoplasty patients have realistic expectations of the outcome of rhinoplasty. For example, it is not reasonable to expect that a naturally large nose can be transformed into a tiny one, as doing so would compromise the structural integrity of the nose and may cause it to collapse. Regardless of your nasal anatomy and the rhinoplasty surgeon’s skills, there will always be limitations insofar as how much the nose can be altered. It is also imperative that you avoid urging your surgeon to make alterations that compromise the nose’s balance with the chin, forehead and other facial features.